"Bringing the Wisdom of the Torah, To Life!" 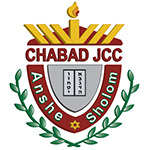 Chabad Forest Hills North is dedicated to providing every Jew regardless of background, philosophy or level of commitment, an open door environment for strengthening and enhancing Jewish family life. Chabad serves individuals and families looking for an anchor and non-judgmental, accepting, personalized Jewish experience. Rabbi Mendy & Chaya Hecht are honored to be serving Jews from all walks of life in Forest Hills North.